For the cultured sorts who drive Range Rovers, it’s hard to say which is a bigger underdog: wine that doesn’t hail from the hilly redoubts of Napa, Bordeaux or Burgundy; or diesel fuel, its reputation soured by the Volkswagen scandal. I sampled both libations in northern Spain, but only the wine called for guzzling. 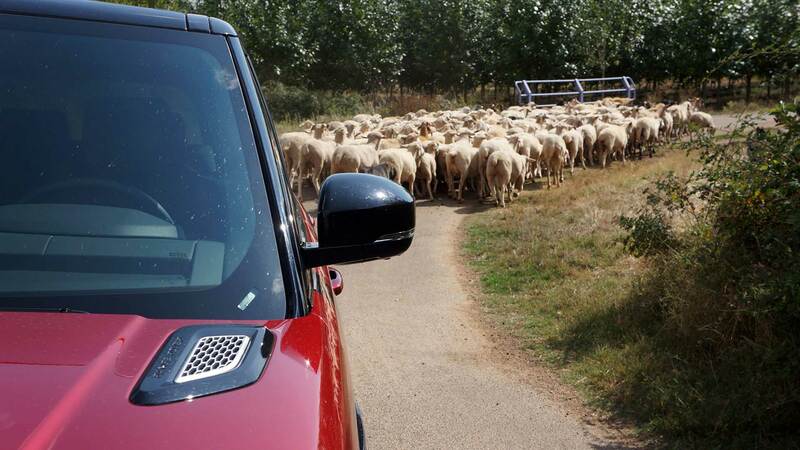 Range Rover’s first diesel model for the U.S. was on a quest for the rebel wines of Tierra de León. Affect your best Spanish accent, and the grape names roll off the tongue. Prieto Picudo and Albarín Blanco, one red, one white. They’re part of a worldwide wine revolution, vintners rescuing and nurturing indigenous grapes that are literally tied to a region’s soil, not to mention its soul. It’s vino’s version of the locavore movement, a middle finger to wines that might be labeled Château Camry: Bland, cautious and produced for mass consumption. In Spain, revolutionaries include Rafael Alonso. 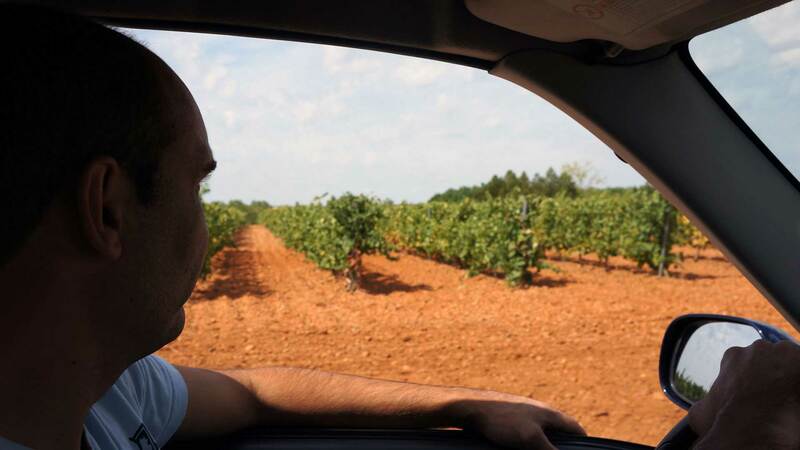 Following his father and grandfather, he’s the third Rafael Alonso to helm Pardevalles winery. The family’s first school-trained winemaker, Alonso has transformed this operation to champion Prieto Picudo and Albarín Blanco: mysterious yet mouth-watering varietals that thrive in the extreme microclimate around the River Esla, with its rocky soil, swinging temperatures and less than 20 inches of annual rainfall. 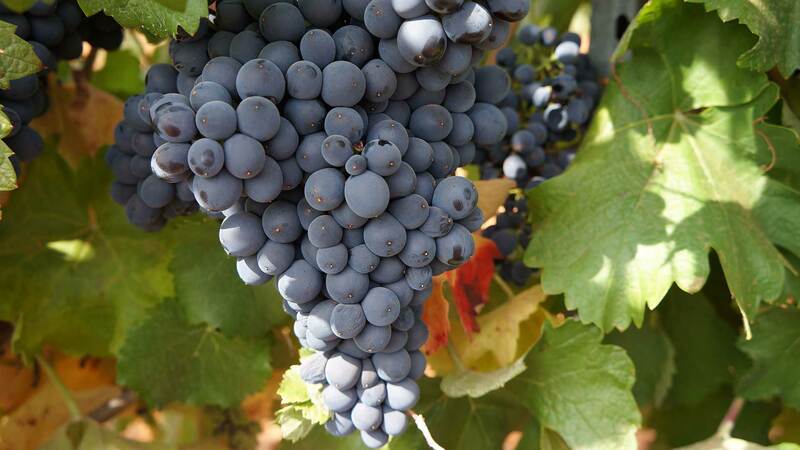 Scour the world, you’ll only find these grapes in or near Tierra de León, an ancient region only granted official D.O. status in 2007. 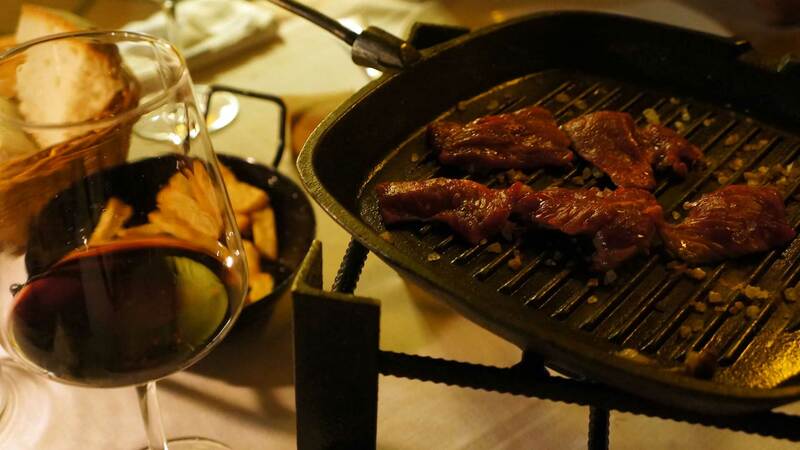 (The “Denominación de Orígen” classifies not just Spanish wine but meats, cheeses and other regional delicacies.) Also on my Iberian dance card is a drive of Jaguar’s new XF sport sedan at a racetrack in Navarra, a three-hour jaunt from León province. 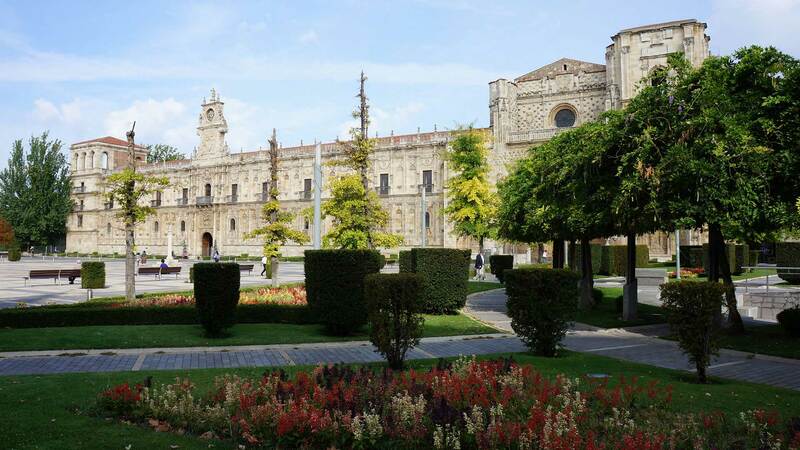 If unique wines aren’t tempting enough, León includes the most spectacular Gothic cathedral in Spain, a key stop on the Camino de Santiago, the 500-mile pilgrimage to the tomb of St. James. It attracts about 230,000 pilgrims, mystics and exceptionally masochistic cyclists each year. 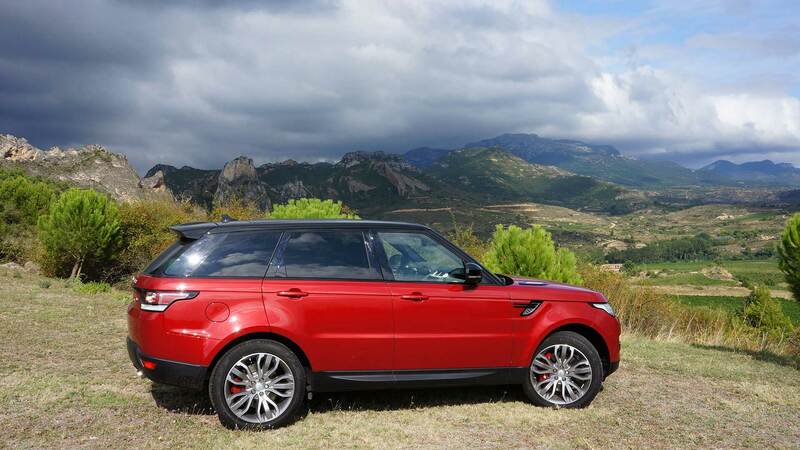 I requisition a Range Rover Sport HSE Td6 and shoot west. In this part of Basque Country, Spain could pass for California’s cowboy stunt double, all dusty hillsides and limestone bluffs. A mere hour north, there’s a surreal detour to Ireland: Green Spain, the Atlantic maritime marvel with sheep-munched plateaus and lush coastline that could host a thousand car ads. I roll into León searching for my hotel, which the Rover’s navigation insists is right by this amazing museum. Strike that: The hotel is the museum. 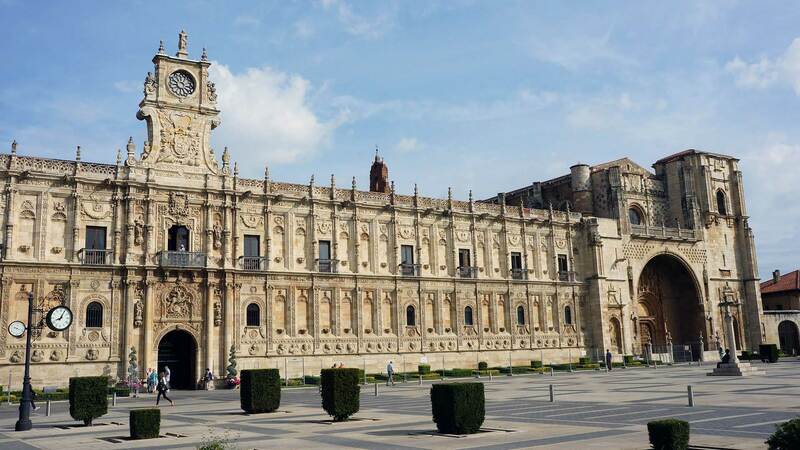 The Parador de León occupies the 16th-century monastery of San Marcos, where, incredibly, tourists can stay for as little as $110. 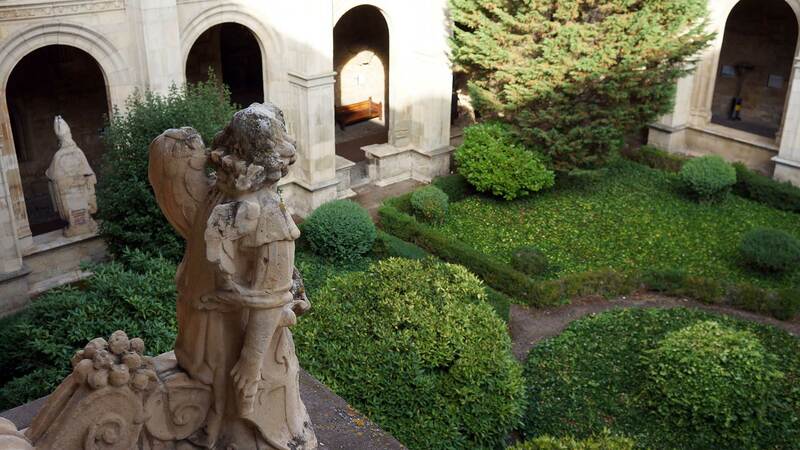 The monastery and museum also highlight the region’s 1,000-year-old roots in wine. It was founded by dissolute friars who became the Moor-fighting Knights of St. James, whose church-backed power ultimately led them to control 200 Spanish towns and the monarchs themselves. Celebrated politician and poet Francisco de Quevado was dragged to imprisonment here in 1639. 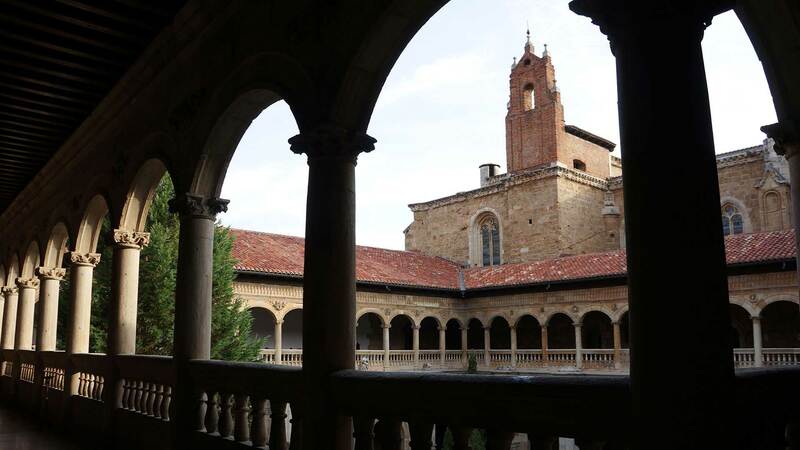 But the monastery’s blackest period came under Francisco Franco, who used it in the Thirties as a torture center and concentration camp during the Spanish Civil War. Roughly 3,000 men and women at a time, and 20,000 in all, were housed in every corner; a human hell. You can still stay in Franco’s personal suite. For those who believe in hauntings, the Overlook Hotel has nothing on this joint. Come morning I’m ready for a drink, and the Rover shows me an impressive 30 mpg on the short highway run to Valdevimbre. Alonso’s village is dotted with some 300 caves, hand-carved from clay, that recall either burial mounds or the world’s worst miniature golf course. They house a half-dozen popular restaurants; working wine cellars and families’ naturally refrigerated retreats from afternoon heat. Yes, literal man caves. I hang a left at the road sign for Pardevalles, where Alonso warmly greets me. He’s wiry, gentle eyes and the blunt hands of a farmer. Alonso beckons me into his Suzuki Gran Vitara, and as we skirt the vineyards, I see my timing is perfect: Tight clusters of Prieto Picudo grapes march along trellised vines, thick-skinned black fruit that seems to count down the harvest, just two weeks away. Like more familiar Pinot Noir, Alonso says, Prieto Picudo is notoriously temperamental and low-yielding, but with off-the-charts levels of acidity, sugar and tannins that require skill and patience to tame. 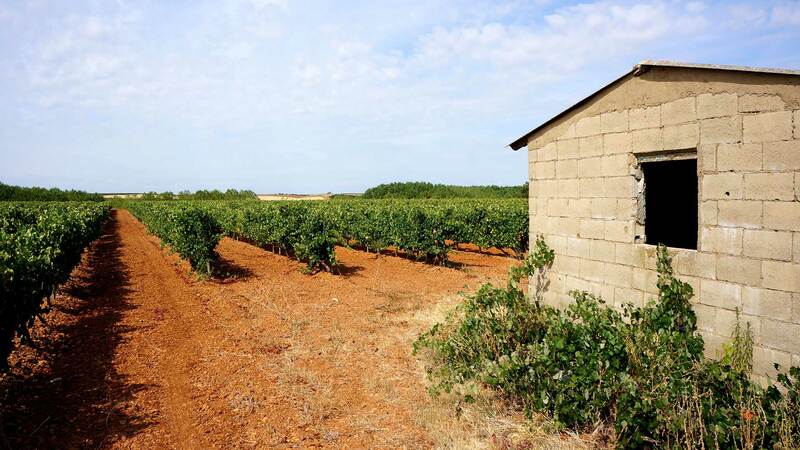 “Every year, our task is to produce better wines from Prieto Picudo,” Alonso says, including from a recently acquired plot the Alonso clan coveted for years. 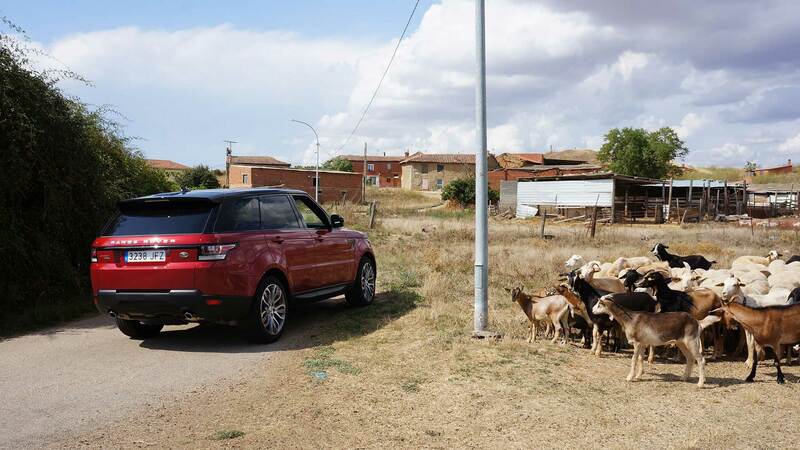 We stop to let a flock of sheep pass, as Alonso calls out to their barechested shepherd (think: Spanish Ernest Hemingway) who’s one of just 10 residents in his tiny village. 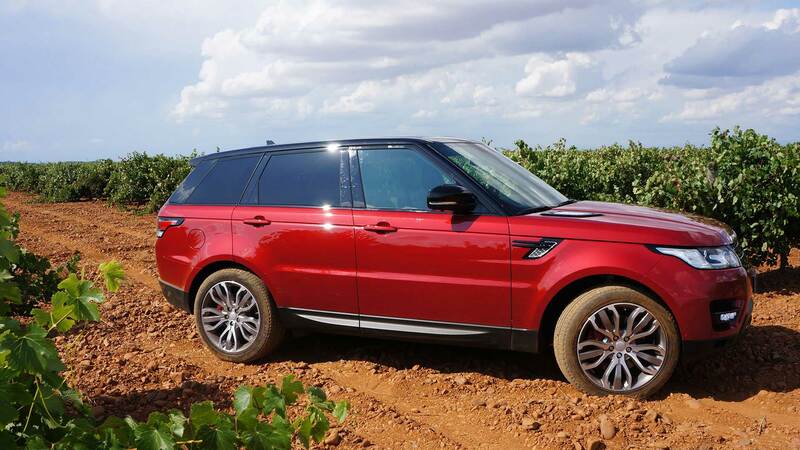 “None of them can stand each other,” Alonso whispers as the Rover eases past, and I dial in the Grass, Gravel, Snow terrain setting to negotiate the vineyard’s ankle-deep stones and dusty soil. We pluck and munch juicy grapes straight off the vine, their green stones having turned brown, soft and edible. 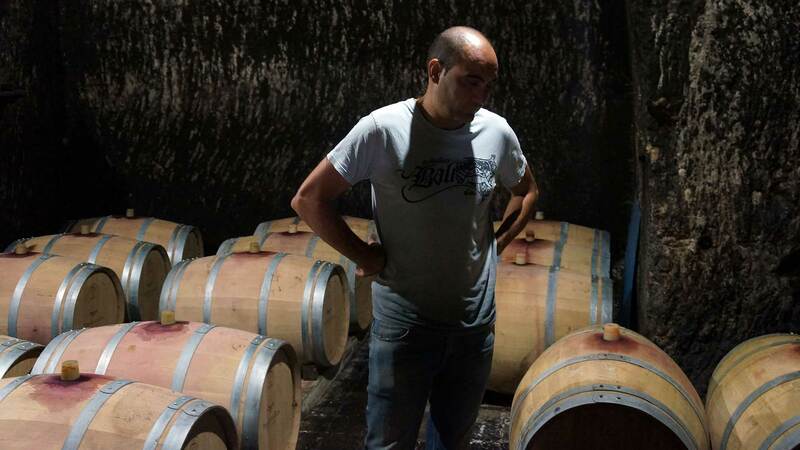 It’s the simple sensory evidence that Alonso’s father and grandfather traditionally relied on to time the harvest. Alonso still tastes grapes, but now uses a refractometer and other scientific methods to precisely measure residual sugar and other clues to ripeness. As for Albarín Blanco—no relation to Spain’s popular Albariño—the grape was virtually extinct seven years ago, before Alonso and other locals helped revive it. Even now, its vines occupy just 75 acres in the world. One taste shows it deserves a wider audience. This is an Iberian picnic in a glass, all green apple and citrus on a soft bed of grass. And it’s almost ridiculously, mouth-puckeringly fresh. We uncork a Rosado, Pardevalles’ crisp take on the Spanish rosé. Pink segues to red with Prieto Picudo, including Alonso’s top-shelf Carroleón label, aged in oak 24 months and produced only in worthy years. It’s a brawny hunk of a wine, a tangle of dark berries, brambles and firm tannins. We hit the family’s ancient wine cave in nearby Valdevimbre, where Alonso lets me turn the comically gigantic key that opens a groaning wooden portal. Descending into the bulb-lit cavern, we dip fingers into barrels of aging wine for samples. 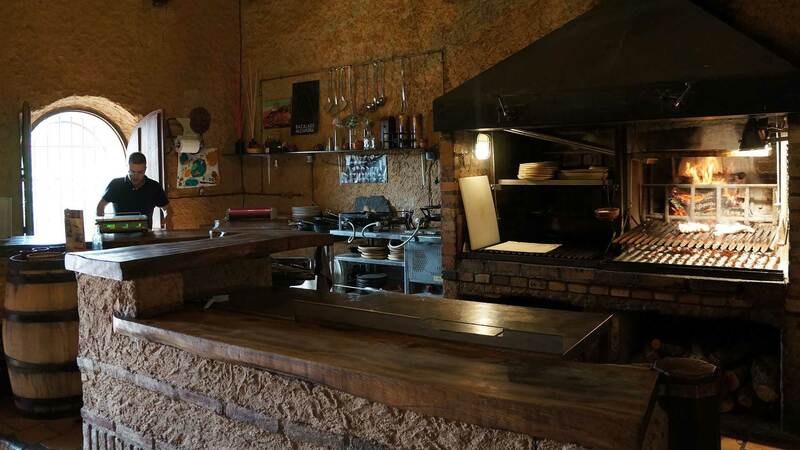 A centuries-old wine press, a roughly 25-foot lever of thick timber, bisected by a floor-to-ceiling screw pull, stretches through musty cave walls. Reverse the pull, and this thing could jack up a Peterbilt. 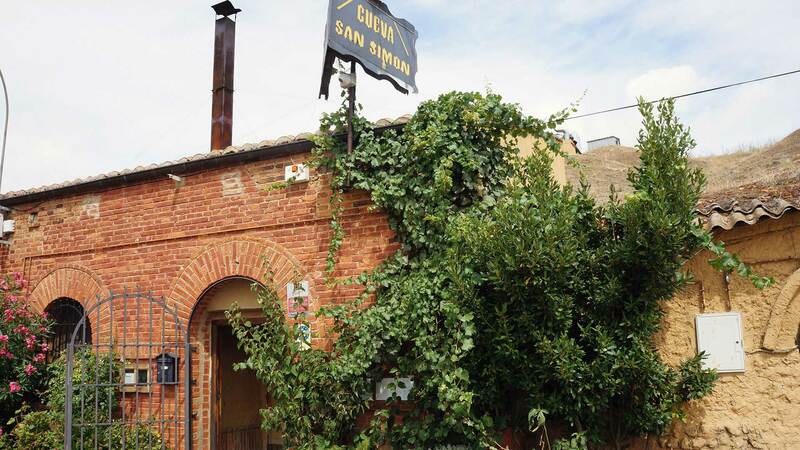 Up the road with Alonso, we receive a villagers’ welcome at restaurant Cueva San Simón: ribeye beef, cleaved from a Flintstones-caliber haunch, then grilled in thin slices at the table on a blazing iron skillet tossed with coarse salt. Meltingly soft lengua (that’s beef tongue), slicked red with pimentón, the smoky, chili-based paprika that puts the “Spain” in chorizo and so many other preparations. Roasted Pimiento Fresno peppers, a local specialty, picked just hours before. Finally, a dessert course of hearty local cheeses. Tag-teaming with the wonderfully rustic cuisine, Alonso’s Carroleón unravels silky layers beneath its wild-and-wooly exterior: Licorice, cassis, a noseful of eucalyptus. Damn, it’s good. But home is calling. On a break-of-dawn run to Bilbao Airport, an army of thunderheads mounts a surprise attack above craggy hills. The Rover Sport shakes off rain and counterattacks on descents at towering speeds, leaving lesser cars in its wake. The giant blades of wind farms scythe and tumble in synchronized beauty, but there’s nothing Quixotic about the petroleum they save. Ditto for the diesel Rover, despite the VW scandal—a bugaboo sure to find Land Rover and Jaguar facing stiff headwinds for coming diesel models. Yet over this trip, driven mostly at impatient speeds, the Rover returns a solid 23 mpg, a good one-third better than its gasoline version. As for remembrances, forget t-shirts or refrigerator magnets. I’ve tucked a pair of Pardevalles wines into my suitcase, one red, one white. They’re the best possible souvenirs, aside from their fleeting quality: Two nights after I return to New York, they’re quaffed and gone.